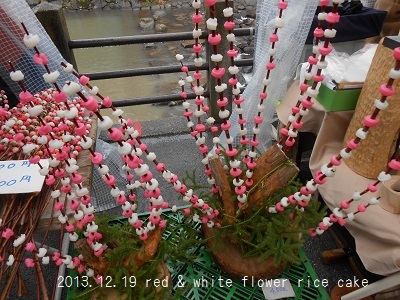 Straw ropes are winded around a used firework launcher tube as a decoration to ward off evil inTakayama. 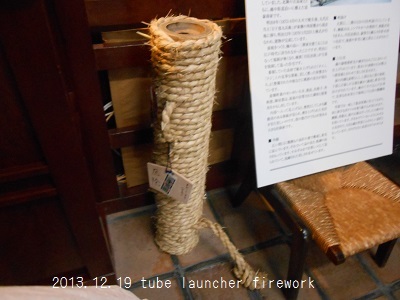 A launcher tube is made of a bamboo tube or a cardboard tube. 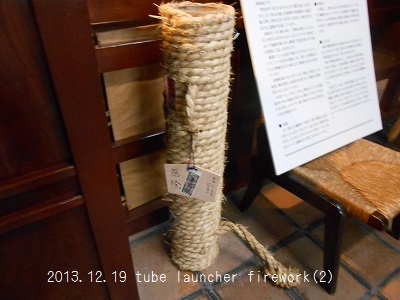 Toyohashi city is well known for a tube launcher firework. Tube launcher firework event in Takayama is taken place on August 9th every year. August 9th is pronounced ” Yaku” in Japanese meaning August 9th, which also means to ward off evil. 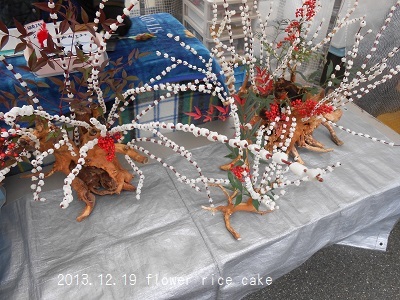 Hana-mochi literary means flower-like decoration of rice cakes. 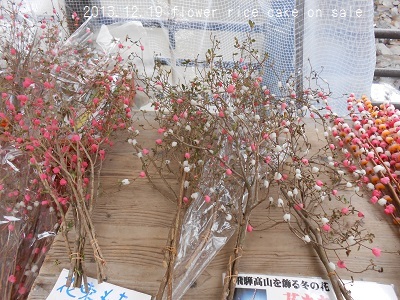 People in Takayama decorate short tree branches with white or ren and white rice cakes to compensate lack of flowers in winter. People bake or fry them and eat after January 15th.